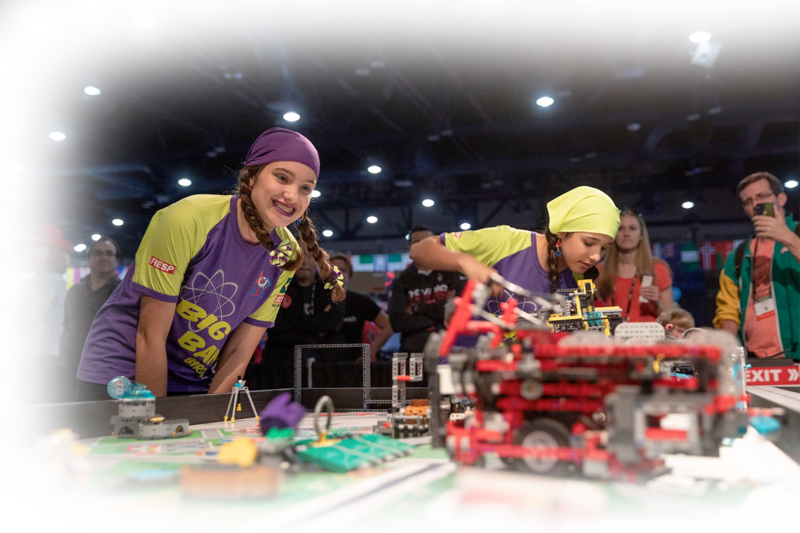 FIRST® LEGO® League focuses on solving real-world problems such as surviving in space, food safety, recycling, energy, and more using STEM concepts, plus a big dose of fun. 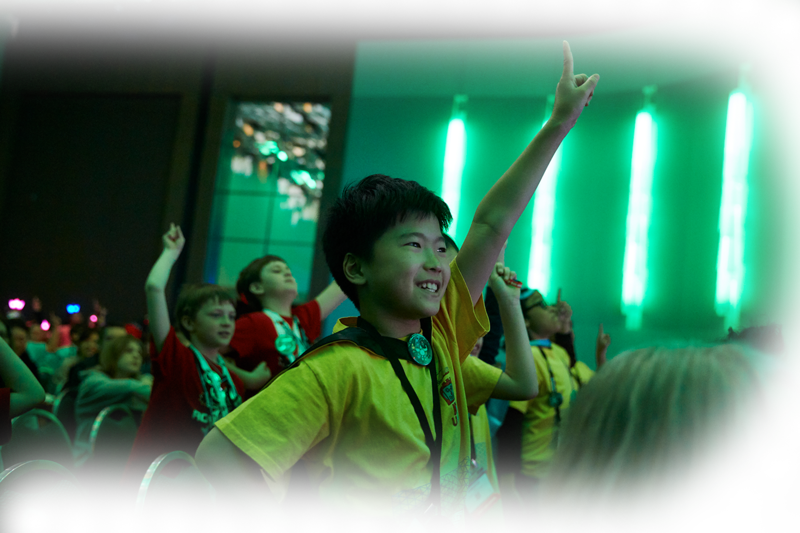 FIRST LEGO League Jump Start is available now for teams in the U.S. and Canada. With the guidance of two or more coaches, teams (2-10 members, grades 4-8) apply science, technology, engineering, and math (STEM) concepts to solve a real-world problem. 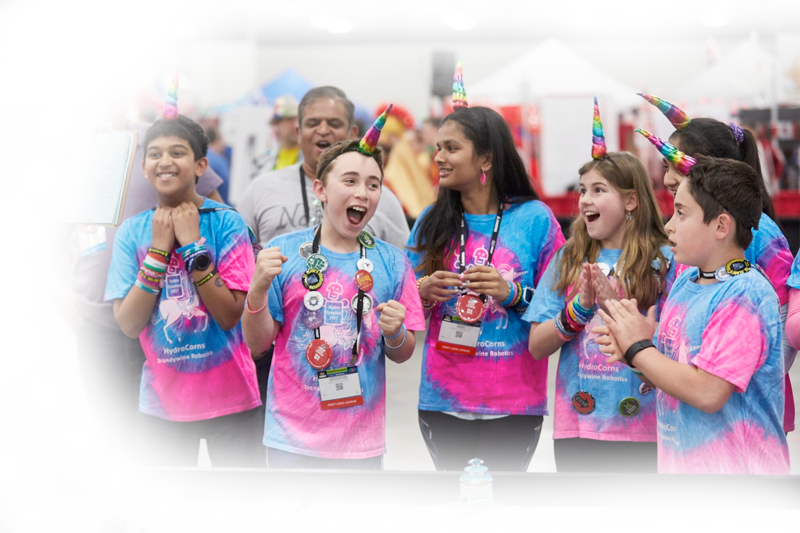 Teams design, build, and program a LEGO® MINDSTORMS® robot, then compete on a themed table-top playing field. Along their journey, students develop critical-thinking and team-building skills, build STEM self-confidence, and gain valuable perspective on the importance of failure in the learning process. A team is 2-10 students ages 9-14 willing to take on any job to help their team succeed (lots of jobs available for all skill levels and interests). Two or more adult coaches to guide the team through discovery and the competition season. Part of the fun is researching an open-ended Project and designing/building your robot. After you’re registered, you’ll have access to a wealth of information in our Resource Library. Once the Challenge is released, all the documents you need will be available on firstinspires.org. There are never any “per student” fees; all costs for individual team members are assumed by the team as a group. New teams can expect to pay approximately $800 for team registration (which includes the Challenge Set), and a reusable robot kit of parts. There are many fundraising opportunities and grants available for teams who need extra help.